At The Crossroads Family Restaurant Ltd., Elmira, Ontario. Information, Photos and Reviews. 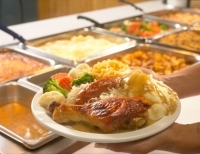 At The Crossroads is a clean and friendly restaurant featuring homestyle cooking and homemade baking, located in the heart of Mennonite country. 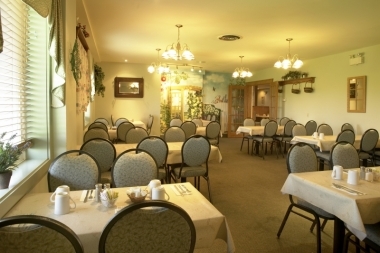 Over the years, a number of restaurants have operated out of our location between St. Jacobs and Elmira. During the 1960s the first restaurant, Seiling's Cantine, was opened. Then in 1980, the restaurant became the Bavarian Inn. In 1987, the restaurant was renamed to Christian Horizons. And finally, in 1991, Donald Brox opened the "At the Crossroads" restaurant. In 1996, At the Crossroads was purchased by the current owner, Anton Heimpel. The restaurant has undergone a number of expansions and renovations, but in 2002, it underwent its most extensive expansion, dramatically changing the building's outward appearance. At this time, the 3500 sq. ft. gift shop, "The Mercantile", was added, making it not just a place to eat, but also a local attraction. Nobody has reviewed At The Crossroads Family Restaurant Ltd. yet, Be the first. You are submitting a booking enquiry. 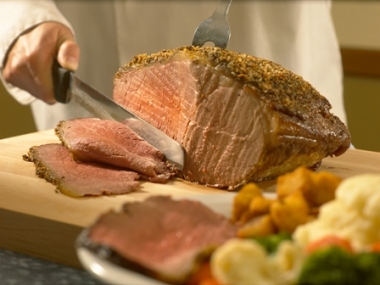 At The Crossroads Family Restaurant Ltd. will then contact you by email with details of availability and prices.